Please email coredt@coredinations.com with your full name, address, phone number with my challenge name in the subject line. Thank you for participating. I'm back again with another Denami Design Blog Hop. This month's theme is A Touch of Twine. I use twine in almost everything I do so this hop is a perfect fit for me. 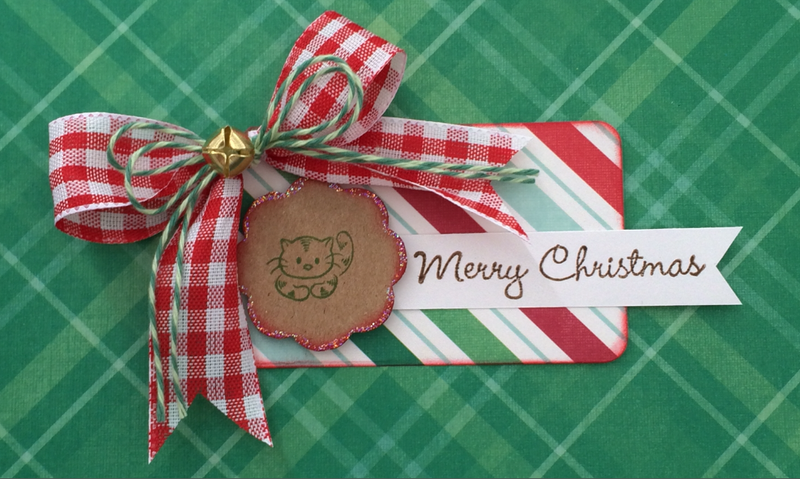 Today I created a Christmas tag using the Cuddly Cats stamp set. I think kitties go with everything, so why not incorporate them into my tag! I stamped the cat in green on a scalloped circle punched from craft cardstock and inked the edges in red and added stickles for a little jazz. The design is pretty straight forward layering so I won't go into to much detail. I glued green twine on top of my red bow and tied a jingle bell in the middle. So quick, so easy, so fun. Now for the good part.....Prizes: Denami Design is giving away THREE $20 gift certificates to their website! They'll be giving away one gift certificate to a random participant (DT members not eligible) and then they'll also be giving away TWO gift certificates to TWO people who comment along the hop! You have until November 11, 2013, 11:59 pm PST, to leave comments on all the blogs (to be eligible for a prize). Below is the next blog on the hop but if you get lost or want to start from the beginning go to the Denami Design Blog for the full list and details. Thanks for hopping along with me today. Check back often for more crafty inspiration! 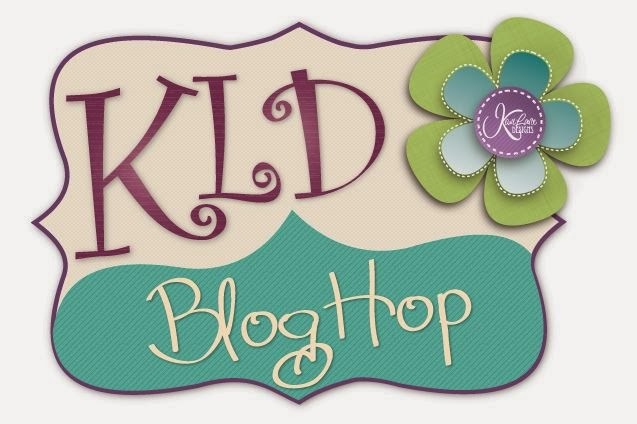 Today I am so excited to be a part of the Kiwi Lane Designs Blog Hop. I have a really cute, simple, out of the box project for you, I hope you like it! 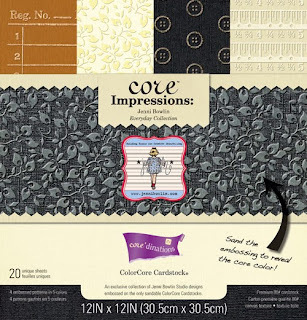 I know the Kiwi Lane designer templates are typically used to for scrapbooking and card making. But why not think outside the box and use the templates for other things, like embellishing a jar filled with candy to give as a holiday gift! 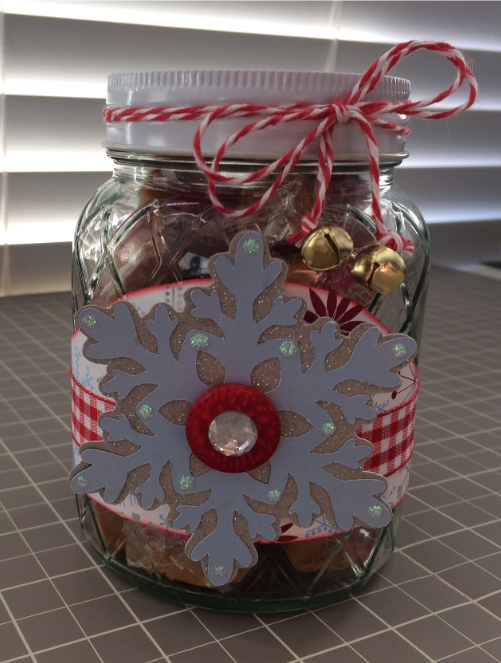 Here are the supplies I used to create my gift jar. 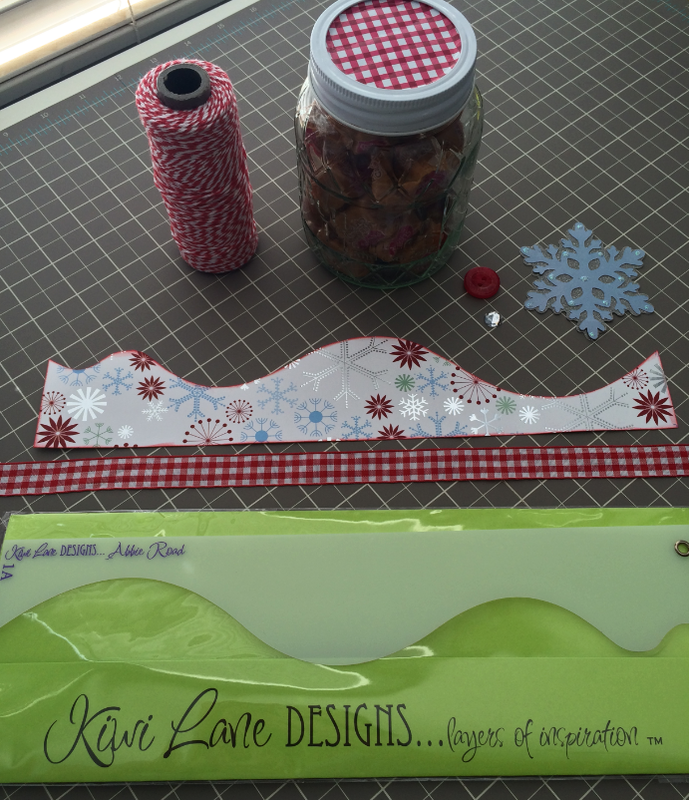 Once I got my hands on the Abbie Road template set all I could think of was they looked like snowy little hills. 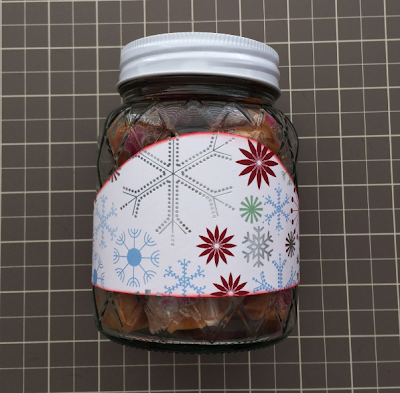 To decorate my jar I used template 1A to trace and cut out my snowflake patterned paper. 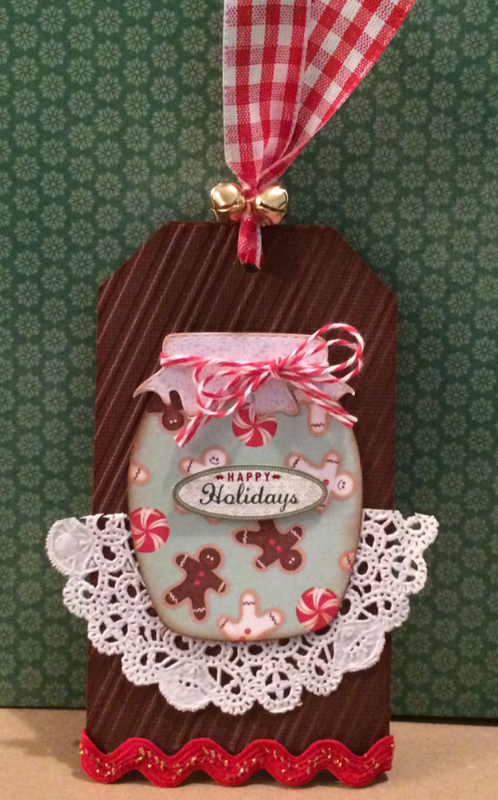 After I cut it out I inked the edges in Tim Holtz Festive Berries Distress Ink then glued it around the jar. 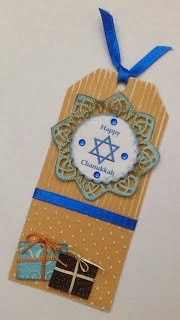 The red checked ribbon was layered on top of the snowflake paper band, the blue snowflake was popped up with foam tape, and the red button and gem were placed in the center. The final touch was red/white twine with jingle bells tied to the jar lid. So cute, so simple, so handmade! 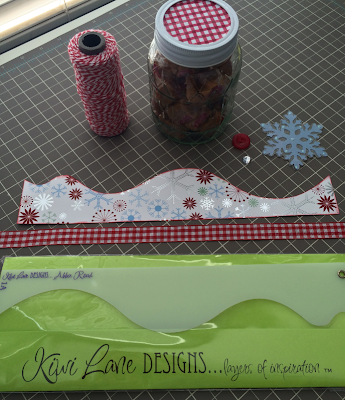 This was my first time working with Kiwi Lane Designs products and I am hooked. I think you will love them too. 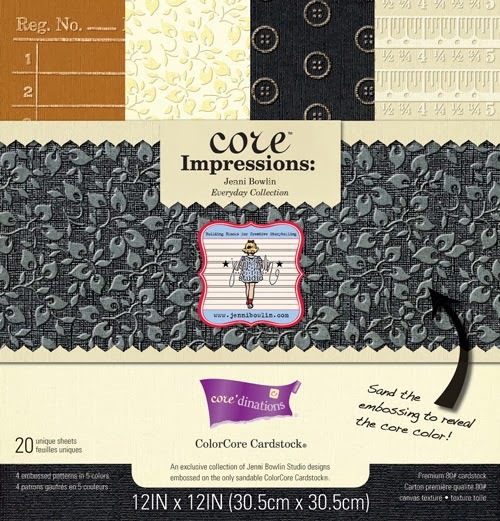 If you already own a set of templates give this project a try. I think you will love making them and your friends and family will love receiving them. NOW...... on to some blog hop business. 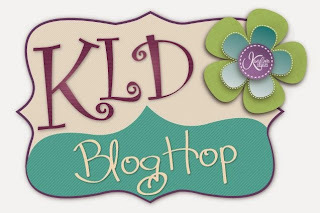 Below is the blog hop list. Please hop a long and comment on all the blogs for a chance to WIN. One random winner will win a $25 gift certificate to the Kiwi Lane shop just for commenting. The winner will be announced on the Kiwi Lane Blog November 7th. Thank you so much for hopping by today. Please follow me and check back often for more crafty inspiration.